In 2019 we open in style. We predict a bright future for this band, but first you will see them at HBF2019. 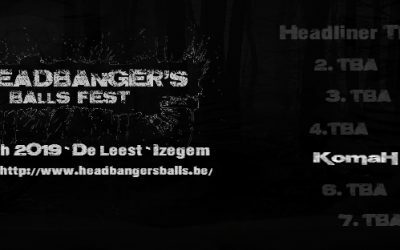 Some post metal at Headbanger's Balls Fest? Hell yeah! 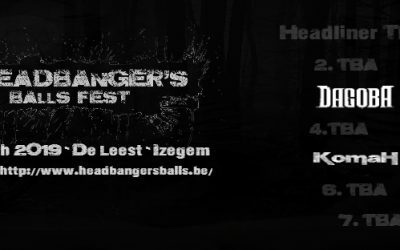 Headbanger's people, a legendary Belgian heavy metal band is hitting the stage at the next edition of HBF. May we present you a full 75 minute tour show by the one and only OSTROGOTH! 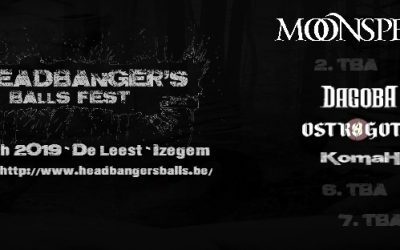 Headbanger's Balls Fest presents its headliner for 2019: Moonspell! Be Quick: limited tickets available. Greetings Headbanger's people, the waiting is over. 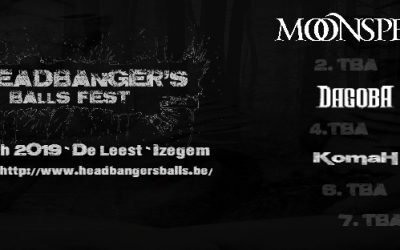 We give you the first name for Headbanger's Balls Fest, edition 2019: the powerful, aggressive, groovy modern metal of Komah!